1. 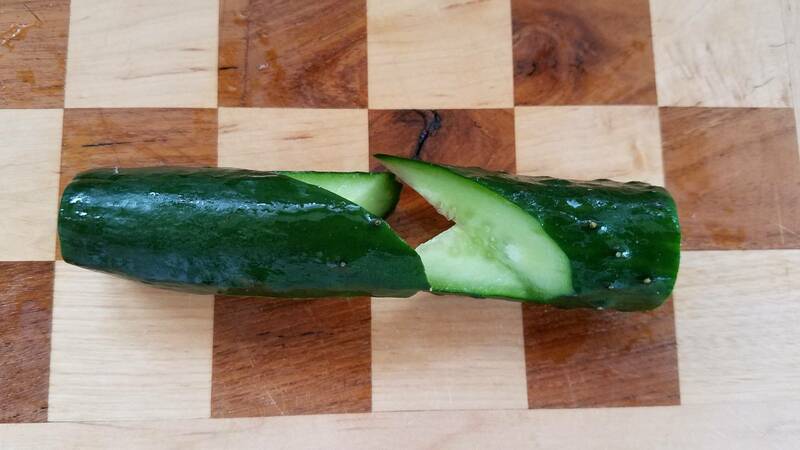 Cut the ends off of the cucumbers and then cut the cucumbers in half. 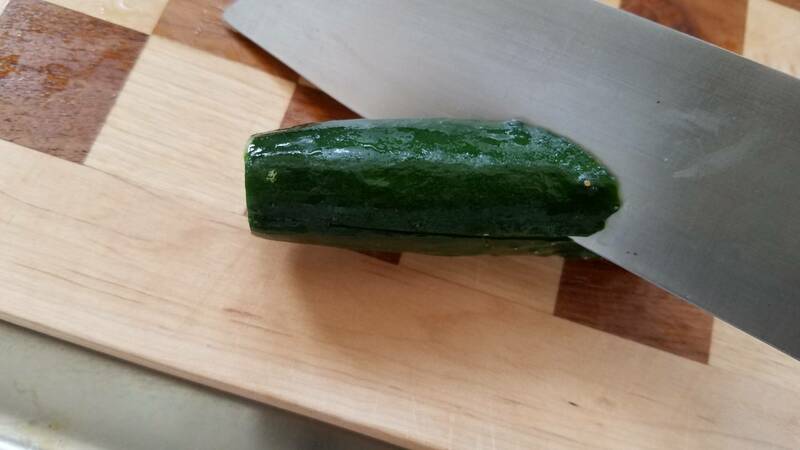 Take one of the halves and cut it as if you were going to split it, but leave about 1 cm on one end uncut. 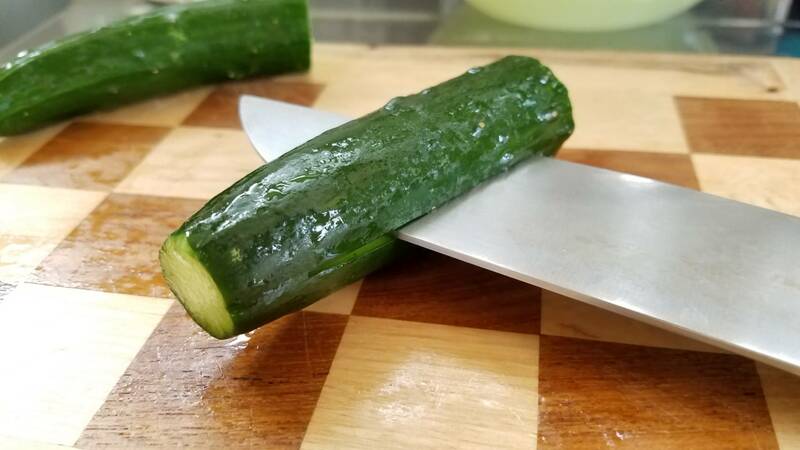 With the cut you just made parallel to the cutting board, make a diagonal cut down to the middle of the cucumber (on the end of the cucumber that is cut through) to remove a triangular section. 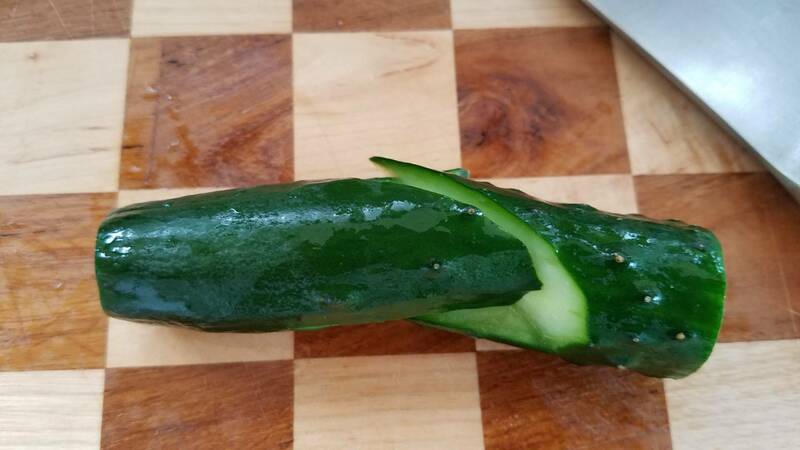 Turn the cucumber over and do the same on that side. 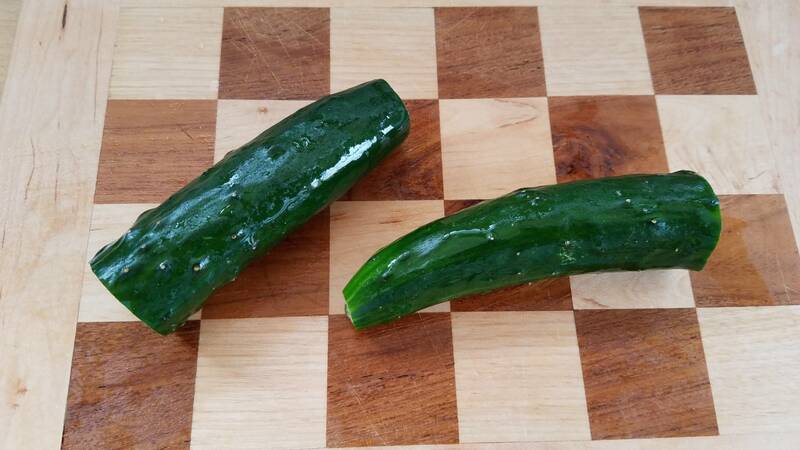 Repeat for the other three cucumber halves. 2. Make the miso sauce. Add the miso, honey, garlic, and dried bonito flakes to a bowl and mix well. 3. Make the plum sauce. 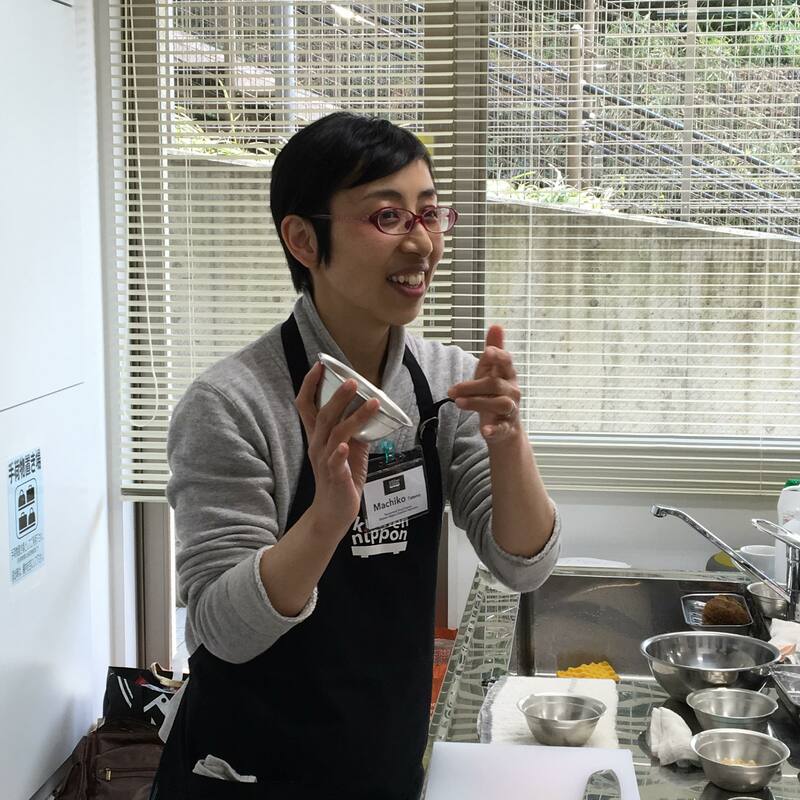 Begin by mincing the umeboshi. Transfer the minced umeboshi to a bowl and add the honey and soy sauce. Mix well. 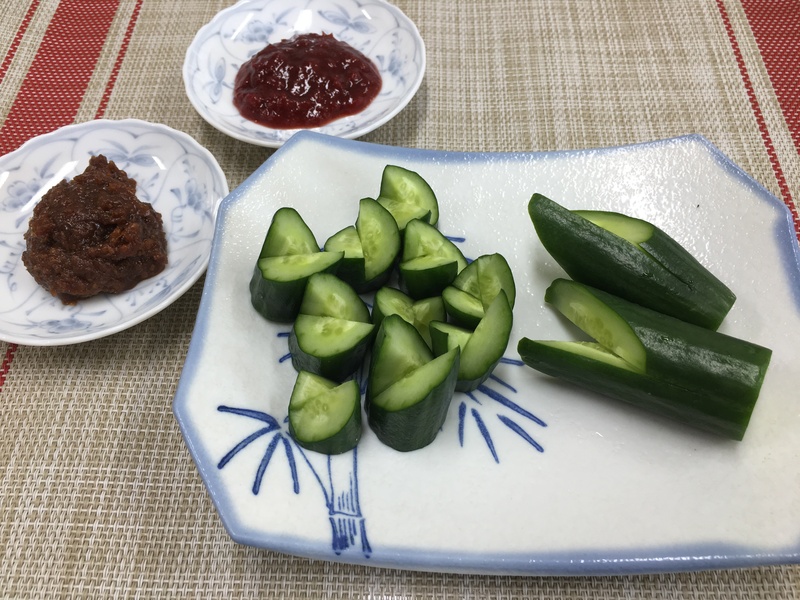 4.Serve the cucumbers with the miso and plum sauces on the side.